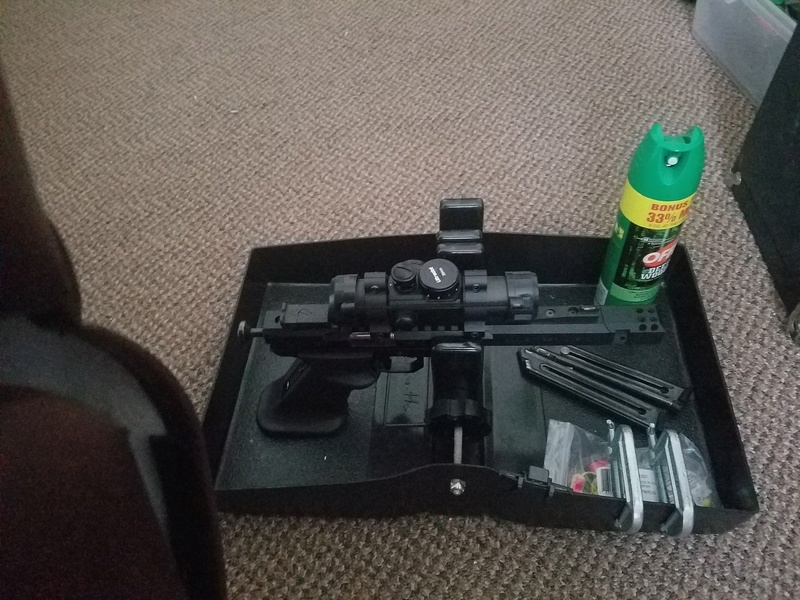 Dowe anyone use some sort of organizer for their pistol Box? I have plenty of room left in mine, but it's annoying when everything slides around and I was curious if anyone developed a way to compartmentalize their boxes? There are so many things wrong with your post I don't even know where to start. 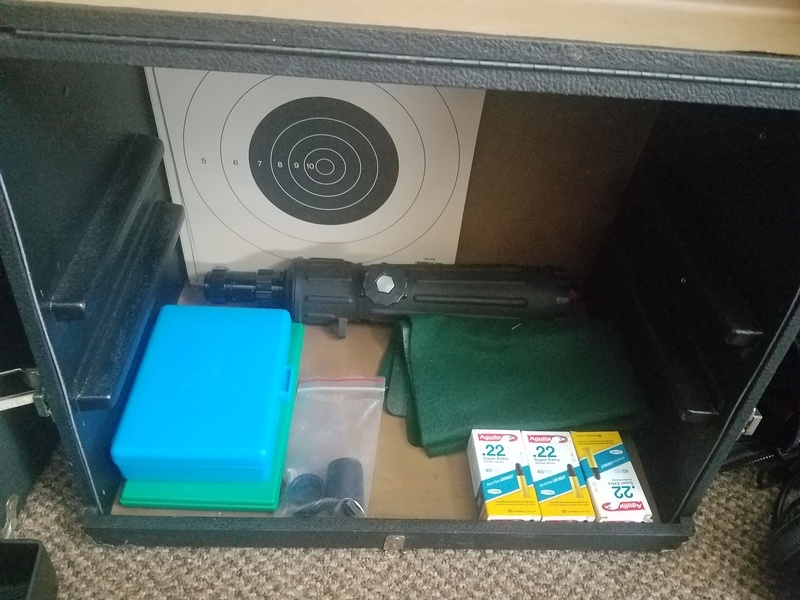 "Organized" pistol box with "plenty of room left?" Unicorns are real! I like the little white box that comes with the nelson conversions, it fits nicely in the pencil tray in front of the pistols. Its great for carrying the small stuff like batteries, ear plugs, wrenches, ECI's and spare springs/pins/extractors. 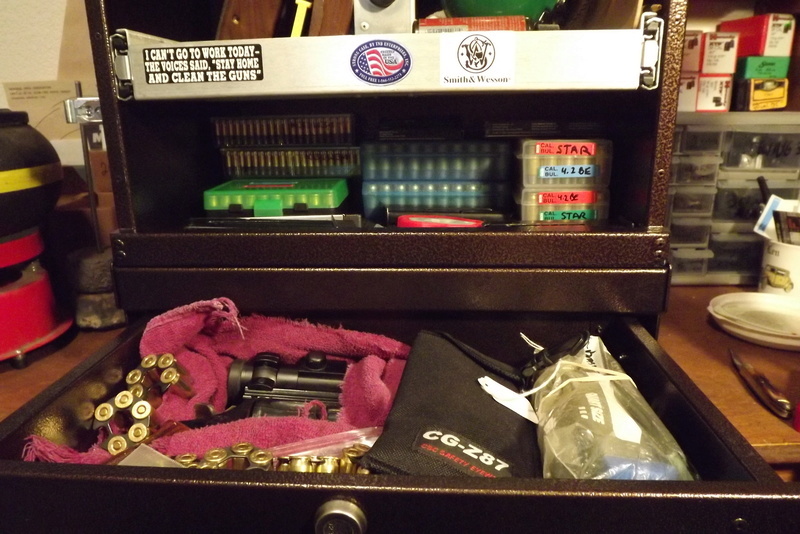 I use a MTM Small Bore Box without the insert to keep all the small stuff "organized" on the bottom of my box. I use a small Pelican case. Stays closed and keeps all those small items needed at the range. Yes, they are expensive, but I re-purposed one I had when I needed a waterproof case that would float and not pop open if dropped. MTM also makes a small box that will work. Not as big as the Pelican and it will pop open if dropped (still looking for that tiny allen wrench). Sandwich bags and rubber bands. They are cheap and available. Staple gun, earmuffs. clipboard, extra magazines, extra battery, lens cleaner, bore snake, sqwib chaser, shield, pad and then a magazine holder. I've got all of those minus the clipboard, and the shield? And ammo, lotsa ammo. It takes 300 rds for a 2700 and a Reeves. 90 more if you shoot all the possible EIC/DR matches. Add team and that can be another 90 rds An extra drawer doesn't hurt. I need one of those stickers so I can stay home and clean my guns too. LenV wrote: And ammo, lotsa ammo. It takes 300 rds for a 2700 and a Reeves. 90 more if you shoot all the possible EIC/DR matches. Add team and that can be another 90 rds An extra drawer doesn't hurt. Whither that much ammo you need a pickup truck not an extra drawer. Not a pickup truck. 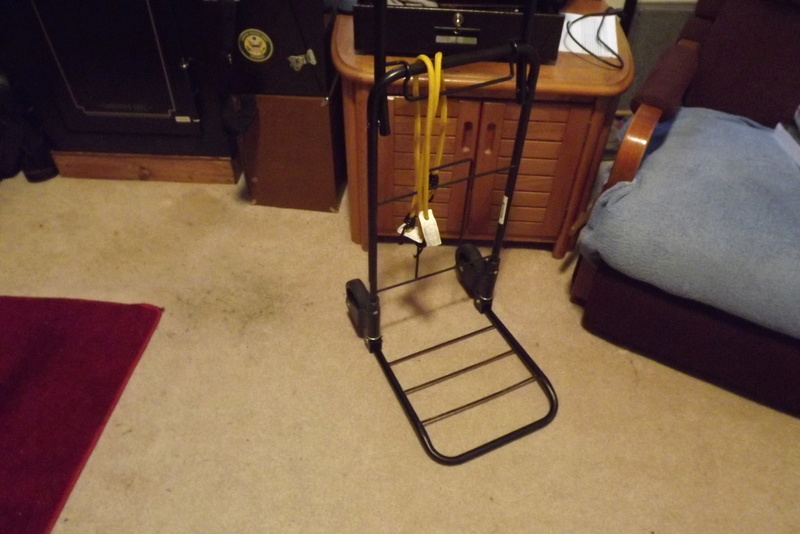 A hand truck. Ok, I cheat a little as I get older. I love these. 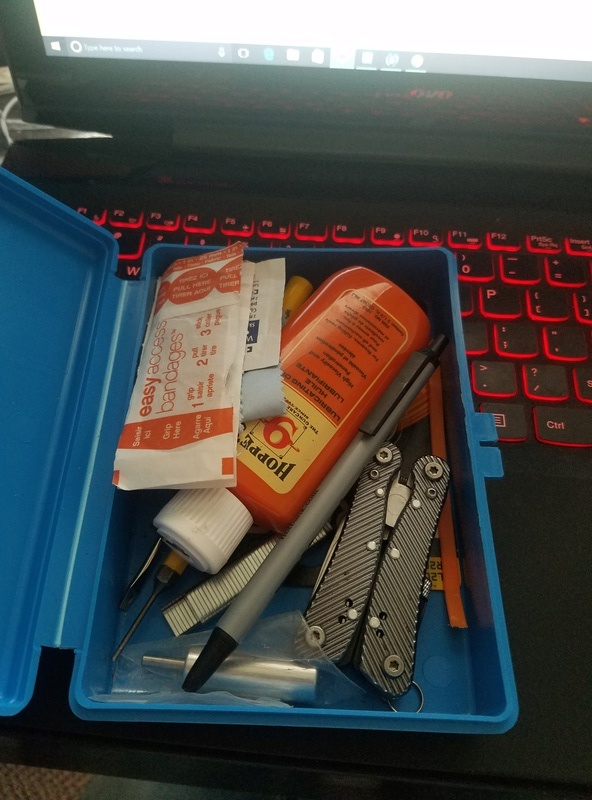 I have the pencil boxes for tools and cleaning stuff. I use the crayon boxes to hold all my gun innards for cleaning/building/repairing. 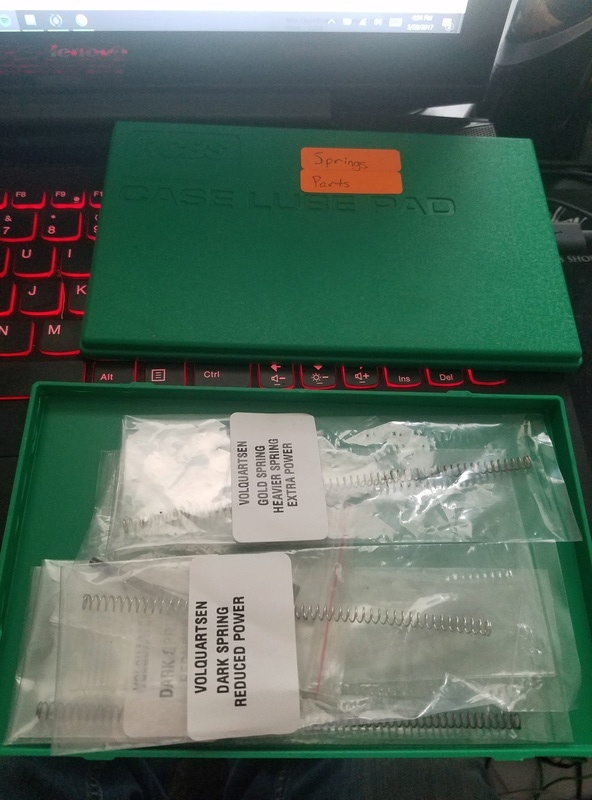 The boxes have little locking handles, so even if your gun box tips, everything stays in the box. The lid is good to use as a tray as well. Extra cool is they are dirt cheap at Office Depot and with a $9.99 order, you get free shipping. LenV wrote: Not a pickup truck. A hand truck. Ok, I cheat a little as I get older. No matter how organized I start out in my box, eventually I need a shovel. Jack H wrote: No matter how organized I start out in my box, eventually I need a shovel. Not a truer statement has been recorded or ever will be recorded.